If you are looking for a colourful and delicious breakfast idea, this is the perfect recipe. The Acai berry from Brazil is high in antioxidants and is a great source of fibre. 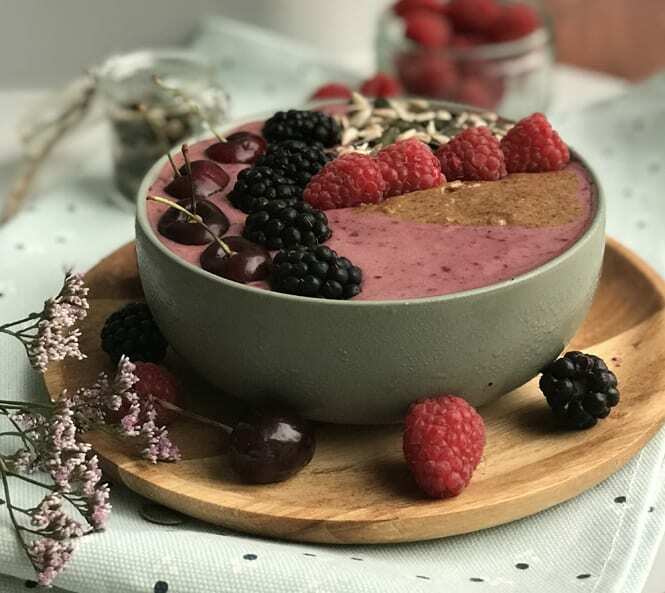 So not only is it good for you but this vibrant purple berry brightens up any smoothie bowl! This recipe is simple, quick and extremely filling. Feel free to get creative and decorate it with fresh fruit, nuts, seeds and a spoonful of nut butter. Blend the avocado, frozen mixed berries, banana, coconut milk and açaí together.